Announcement - SFMC Flyer and info page. Well it is off and running, Melbourne's latest modelling competition. 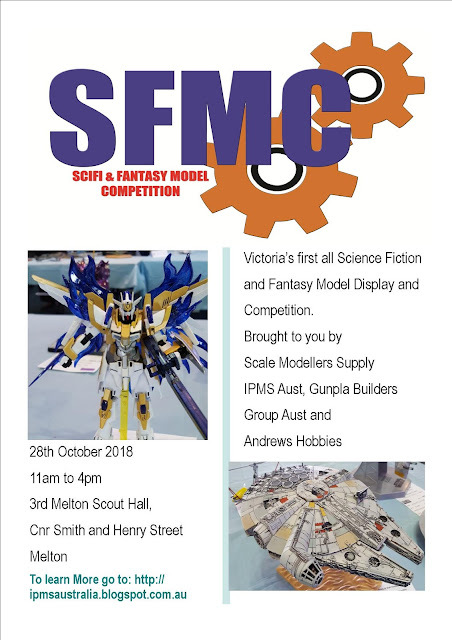 SFMC, Science fiction and Fantasy Model Competition. Below is the flyer. In the side bar is the link to the information page with categories. This info page will be updated as more details become finalised.